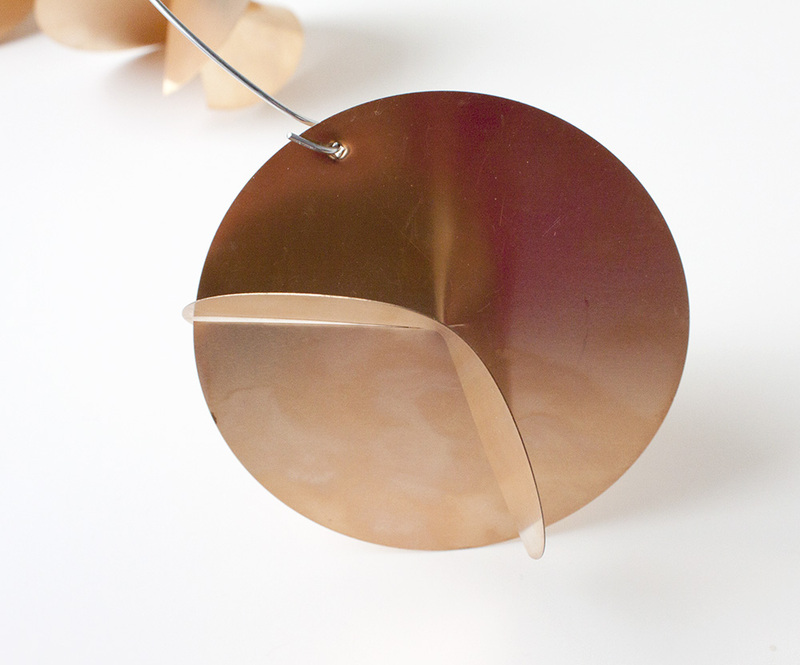 Loryn: This copper challenge was intriguing for me, as the only metalworking I’ve done is twisted wire jewelry. 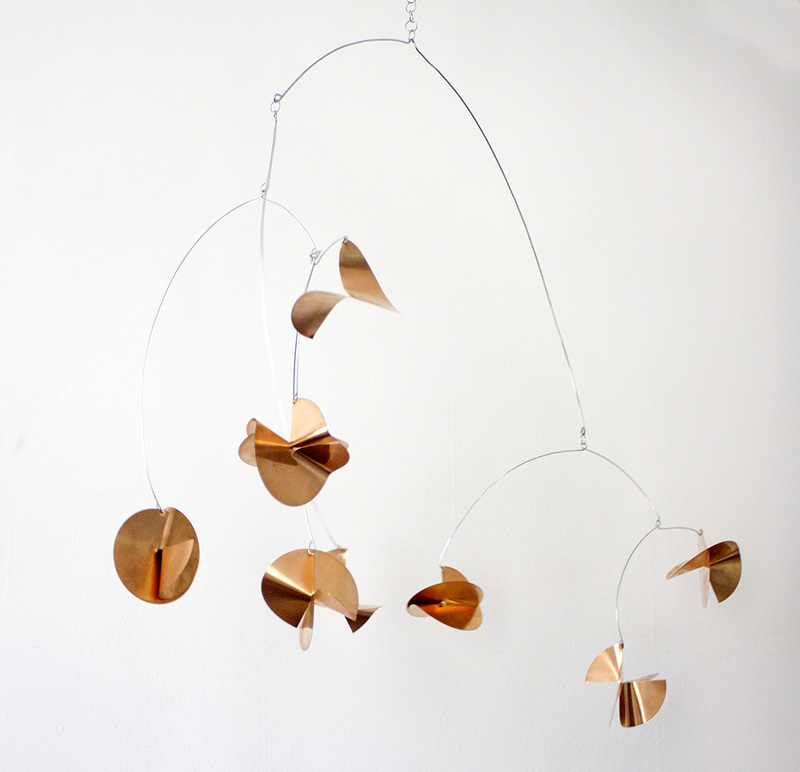 As soon as I saw the copper pieces, I immediately thought of doing a mobile in the style of Alexander Calder. 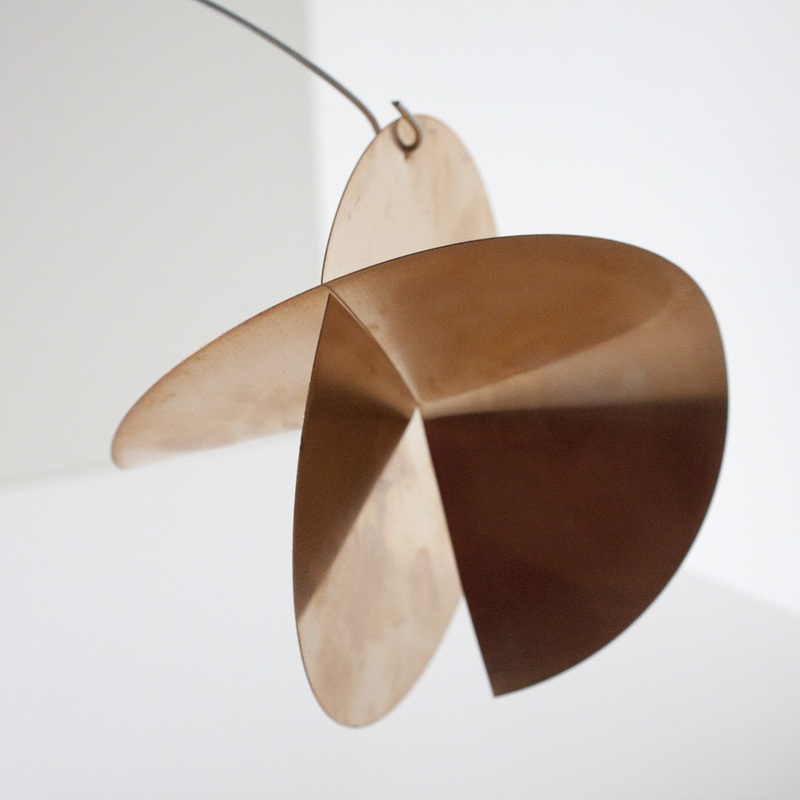 I started out making cut pieces like the leaf-shapes in many of Calder’s mobiles. I had cut about ten, and my hands were starting to hurt, when I had an idea to try making three dimensional shapes out of the disks. 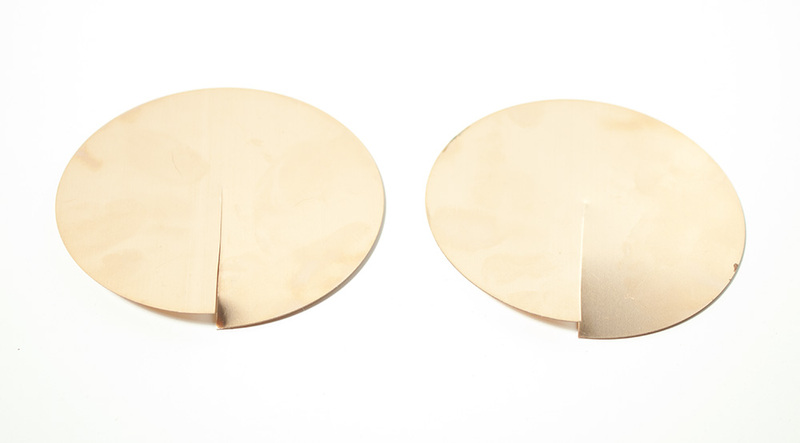 Each shape is made from two disks cut to fit together. 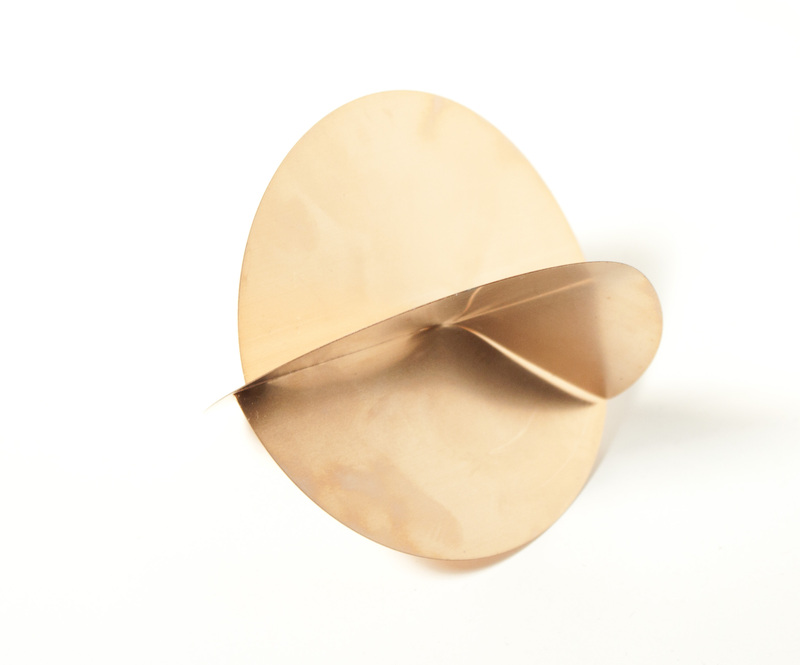 Two simple pieces can make a huge variety of shapes. Read on to see how they are made. Make a cut to the center of each disk. Scissors work surprisingly well on this lightweight copper. 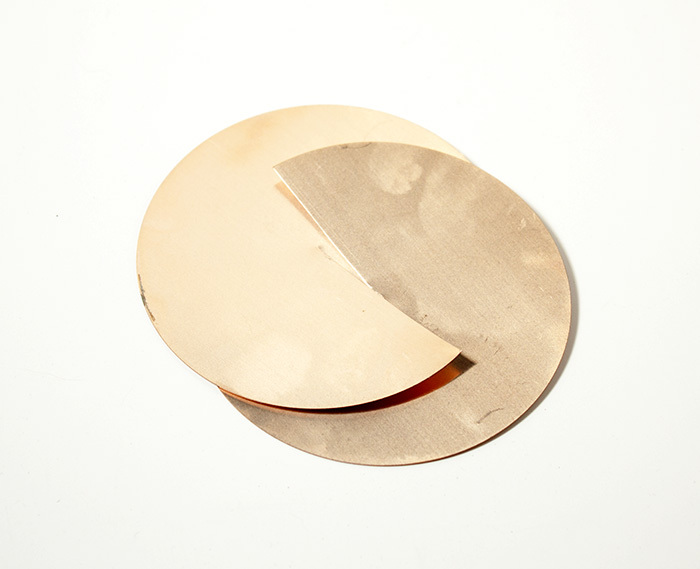 Slide the two disks together on the cuts that you just made. Keep sliding them together until the edges of the circles are even. Then, start bending the cut pieces into interesting shapes. I started bending the pieces so that the two pieces wouldn’t fall apart. Turning each cut piece in the opposite direction creates a really stable object. 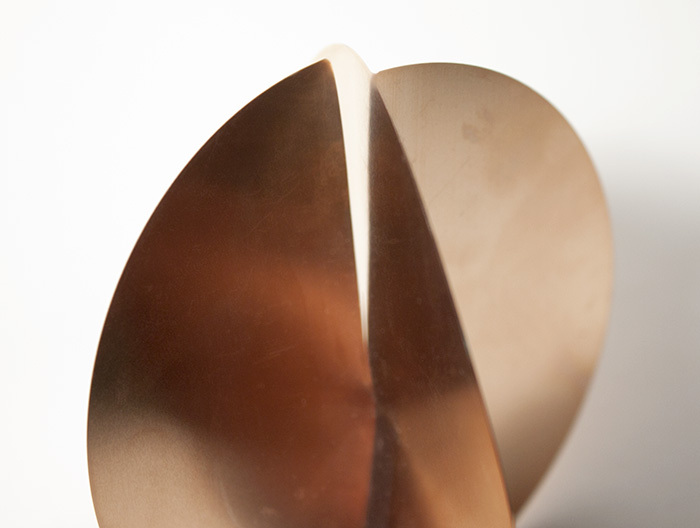 This copper (leftover from a manufacturing process 20 years ago) is very hard to bend, so it makes really nice curves. I just kept playing around with different bends on each shape! To hang each piece, I just used a nail to punch a hole. The mobile wires are made from 18 gauge galvanized wire, with a 12 gauge wire for the upper piece, which holds the most weight. 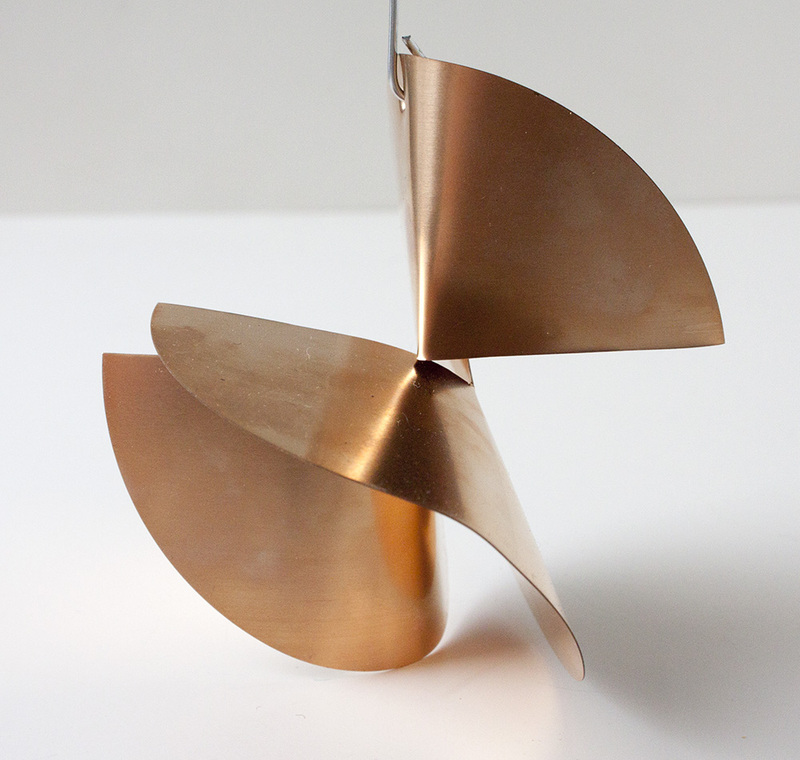 I have a lot of disks left, so I’ll be making lots more of these twisted disk sculptures! 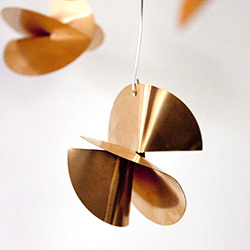 Great Where does one buy copper discs? Hi Chris! Ours came from the Mysterious Junk That Has Been In The Garage For 20 Years. Monsterslayer.com has disks up to 2″ for a pretty reasonable price. Riogrande.com also has a wide variety, including 3″ disks (the size I used), but they are pricey!